You are browsing the Blog for fish. 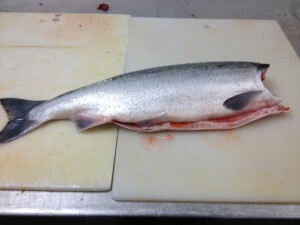 Redoubt Bay: A Link between the Beginning and the End of Life for Sockeye. In Southeast Alaska, the Redoubt Bay sockeye return this season has exceeded recent years. This is good news for the wild sockeye and for those of us looking forward to a small taste of this magnificent renewable resource. On July 12th the Alaska Department of Fish and Game announced modest increased limits for harvesters of Redoubt Bay sockeye. 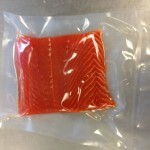 Otolith's 2012 sockeye were harvested during that same week and the freshest tasting portion fillets of sockeye are on their way to Philadelphia. 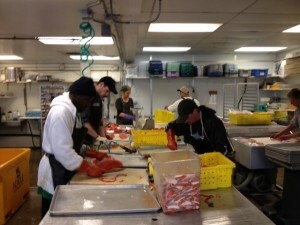 Once harvested the sockeye are dressed or in other words headed and gutted with bellies packed on ice. After a few days of harvesting dressed fish are either delivered or transported by way of another vessel called a tender back to landing port.Otolith’s sockeye were landed in Petersburg, AK and all cutting, sealing and freezing was performed by a small local processor.The following pictures were taked during processing:With skill and attention to detail each fillet must be carefully handled to assure the quality of the sockeye is protected. 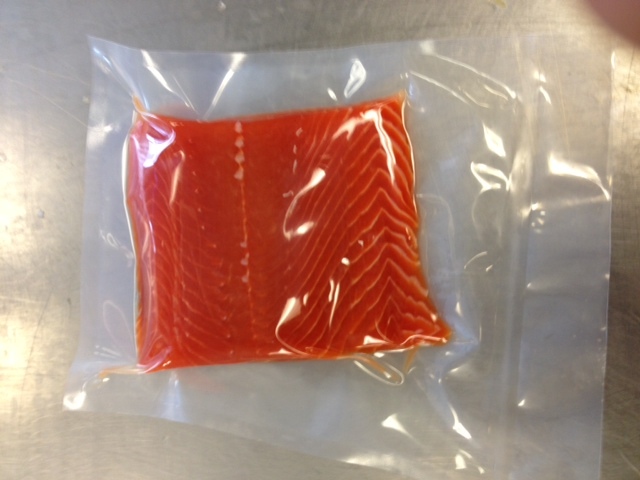 Lastly, Otolith’s wild sockeye delicacy is frozen at temperatures down to -40. This ultra-cold process takes only minutes to acheive the sushi-grade results that Otolith’s owners and clients have come to appreciate. The coho harvest is underway. We look forward to sourcing all your wild and and sustainable salmon this year! Cheers from Alaska. What Constitutes a Sustainable Wild Fishery? The following opinion is in response to the recent New York Times article, http://www.nytimes.com/2012/05/24/opinion/eat-your-hake-and-have-it-too.html. Sustainable wild fisheries are the result of healthful fish, responsible exploitation, self-sustaining cycles of new harvesters replacing the oldest harvesters, and a consistent range of abundant biomass within the fishery food-chain. In the minds of wild seafood aficionados like myself, sustainable fisheries are the dream that contrasts our present reality. Fisheries continue to buckle under the consolidation of more efficient gear and larger scale harvesters, the average age of fisherman continues to rise as less men and women find economic security in serving their fellow fish consumers by catching wild fish, governments continue to subsidize factory fishing operations inspite of its consequences, fishery managers remain unable to effectively protect the biomass of fish on the lowest rungs of our fishery food-chain assuring the inevitable collapse of more valuable species that exist higher up the food-chain, and many people remain uncertain about the healthfulness and presence of heavy metals in their wild fish and shellfish. Now that there is no misunderstanding about what constitutes a sustainable fishery, we can discuss how to encourage behaviors that will take us closer to our goal, if in fact sustainability is the goal. To that point, all states that have a commercially exploited fishery within their jurisdiction either have a constitutional amendment that includes the protection of its fisheries for the benefit of long term sustainable yield or not. Therefore, the most “apparent conservation benefits from the refusal of consumers to buy [those] over-fished species” is the continued focus on wild fisheries, furthermore perhaps opportunities may increase for new educated minds to become involved in the ongoing effort to make the dream of sustainable fisheries come true. Additionally, otter trawl fishing gear produces the majority of haddock [in Maine], while the remainder of the catch is taken with [less efficient] longlines or gillnets. 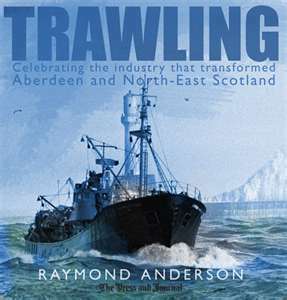 Assuming that since fisheries had never before experienced the current threat of overfishing until the use of trawl fishing gear became widespread, it could be that consumers refusal to to buy fish that is almost exclusively harvested by trawlers or that is not traceable to its harvesters is an act of protest against trawling. To conclude, a better goal for NOAA might be to rebuild over-fished species back to levels that had existed prior to overfishing. Using inconcise language such as ‘healthy’ to describe populations of over-fished species is no less useful than labeling an entire species as “Red Listed”. 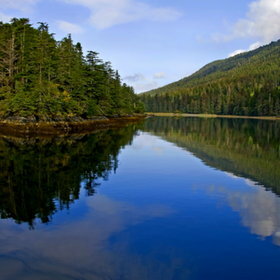 Otolith applauds the state of Alaska for constitutionally protecting its fisheries. After establishing a brand that identifies fish harvested against all odds and in consideration of the greatest efforts to date toward the goal of achieving sustainable fisheries, I would welcome the opportunity to do more for our fisheries. Someday there can be far fewer trawlers and more skilled fishermen, much less plastic in our oceans and more fish surviving to maturity, more laws to protect our renewable fishery resources and the healthfulness of our fish, and less regulations that serve only to increase the challenges to sustainable harvesters. “I have a Dream”, Dr. Martin Luther King; me too. Comments Off on What Constitutes a Sustainable Wild Fishery?